It’s not unusual for FOCUS St. Louis participants to have a friend, colleague or spouse who has been through the program before – alumni remain our best source of referrals. 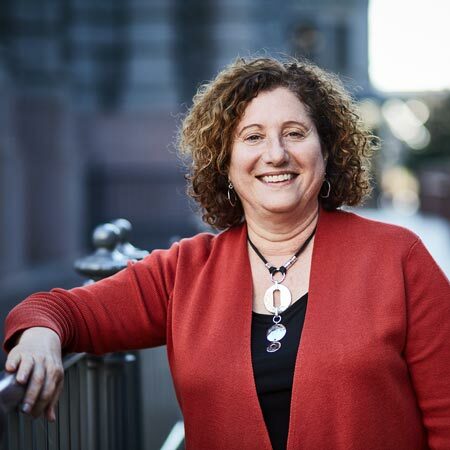 But very few have as long-standing or extensive a connection to FOCUS as Marci Mayer Eisen and her family. 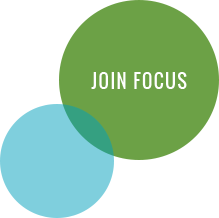 Tell us about your family’s experience with FOCUS. I participated in Coro Women In Leadership program back when I was in my early 30s and pregnant with my daughter. I was running parenting programs at the Jewish Community Center and wanted to learn more about St. Louis in general. The daughter I gave birth to during Coro Women In Leadership went on to participate in Youth Leadership St. Louis 16 years later, which directly influenced her interest in social work. Then she went back to FOCUS in 2015 for her MSW practicum! My older son chose to apply and participate in the Coro Fellows program his first year after college. He would also share the impact Coro Fellows continues to have on his life and career path. In addition, my husband participated in Leadership St. Louis several years ago and loved the experience. How has FOCUS made an impact in your life or career? FOCUS has had a dramatic influence on my life, especially having gone through both Coro Women In Leadership in my early 30s and Leadership St. Louis in my late 40s. As a result of what I first learned in WIL, I was able to create collaborations for family programs back in the early ’90s between the Jewish Community Center and Jewish congregations that had not taken place before. After LSL, I was motivated to go back to school for a certificate in Nonprofit Management and Leadership at UMSL and then shift to my current job, leadership development in the Jewish community. I recently became a credentialed leadership coach, which has pulled together all of my skills, especially my value to support and empower others to discover their own potential and solve their own challenges. Both programs gave me the confidence and the skills to walk into any meeting with a stranger and create a new connection, partly measured on new networks and shared contributions to community. Looking around the St. Louis region, what makes you most hopeful? I grew up in the city of Philadelphia and moved to St. Louis for a two-year commitment, 36 years ago – isn’t that how many of us end up staying? One hope, reflecting on the region, is that people who spend their time in the suburbs can be exposed to and appreciate all the city has to offer. I also hope I can step forward to be part of dialogue and desperately needed change related to race and witnessing whiteness. Maybe in the near future I’ll be fortunate enough to participate in FOCUS Impact Fellows.